It is hard to believe that we are only a shade over two years on from Leicester City’s improbable Premier League title. Everything that has happened within the league since then feels like it has shut down the idea that such an event could happen again. The top six in the league have become entirely entrenched and despite Arsenal’s obvious vulnerability last season, the eventual removal of Arsène Wenger and arrival of Unai Emery means they are probably heading into this season looking upwards rather than checking for teams behind them. According to Investobet’s own expected goals model, the difference between sixth and seventh place last year was around eight points, not too far from the nine points Arsenal bested Burnley by. That no team outside the top six finished with a positive goal difference is another huge indicator of the line between the top and bottom in the league. The rest of the league was unable to sustain a challenge of any kind to the established top six, even when Arsenal were having a clear down year: a fairly stark reflection of their overall quality. While the rest of the league couldn’t compete with the big six, in particular they got very little out of their games with the top four. Manchester City only lost twice all season and both were to direct rivals, while Liverpool only lost once to teams from outside the top six , Tottenham twice and Manchester United four times, and not one of those seven games saw a deficit of greater than one goal. The rest of the league got more change out of Chelsea and Arsenal (six and seven wins respectively), a difference likely enough to have contributed to the fifth and sixth places for the London pair, and a switch in each manager’s chair. 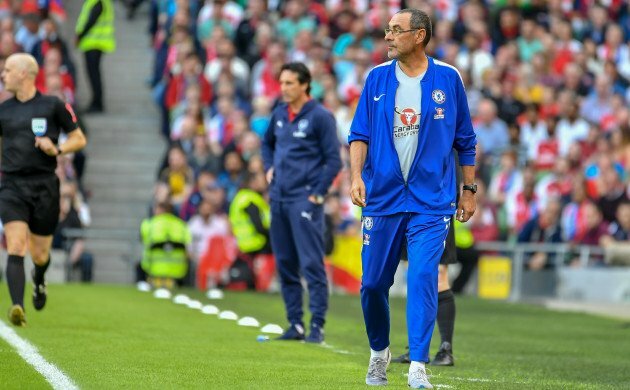 Emery and Maurizio Sarri’s appointments are the first among the top six since Pep Guardiola, Antonio Conte and José Mourinho ahead of 2016/17. Ahead of that season each will have expected Champion League qualification, and with Manchester United’s Europa League win, only Arsenal failed. Wenger continued, but with the same remit for 2017/18, a second failure for him was evidently enough to see him depart, while Conte’s entire season was underwhelming and apparently fraught off the field. The direction Arsenal and Chelsea are likely to take with a view to re-establishing themselves higher up the table is fascinating, given how different it could be to what has come before. For Arsenal, moving beyond Wenger’s laissez-faire structures and creating greater rigour in organisation appears essential. There is plenty of talent in the squad, particularly in attack with various combinations of Pierre-Emerick Aubameyang, Alexandre Lacazette, Henrikh Mkhitaryan, Mesut Özil surely capable of enthralling. Midfield also looks more robust with Lucas Torreira arriving from Sampdoria, while in pre-season Mattéo Guendouzi has looked slightly more than just a young prospect. 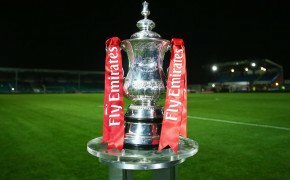 It remains to be seen if their defence has been improved with the arrivals of Sokratis Papastathopoulos, Stephan Lichtsteiner and Bernd Leno - or if indeed they will be starters or just squad members - but there’s enough within the known traits of the new arrivals to expect a little more bite this time around. What to expect from a Sarri-led Chelsea side is entirely at odds with what we have seen from the Blues over the last decade. You possibly have to go back to Carlo Ancelotti to find a full-time Chelsea manager who installed a focus on attack; in particular, the recent titles of Mourinho and Conte were built on a defence-first philosophy. From a neutral's perspective - providing they don’t leave for Spanish climes - it would be refreshing to see what Eden Hazard and Willian can do given more of an opportunity to express themselves. The pivotal signing may well be that of Jorginho, who could well be seen as a long-term replacement for Cesc Fàbregas but who for now offers the tantalising prospect of somehow fitting both he and the Spaniard into the same team, with N'Golo Kanté more than capable of shouldering the heavy workload to allow it. There has been plenty of talk of Chelsea moving on important players - Thibaut Courtois, Kanté, Álvaro Morata have all been linked with moves on top of Hazard and Willian - but unless there are external factors at play, it would make sense to retain as many of these players as possible. After many years of defence-minded management, Chelsea have ample strength at the back, and the idea that the basis they have there could see fit to launch a more expansive attacking style is enticing. They haven’t been very active in the market, but their squad remains generally strong with new depth. Players like Ruben Loftus-Cheek and Tammy Abraham back from reasonably successful loans and full-back Emerson able to show more after his January arrival. 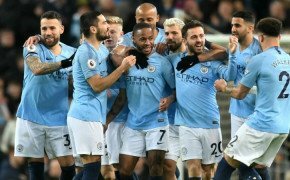 The race for the top four will be hard fought as ever, and beyond Manchester City it’s tricky to reliably define expectations. The bookmakers have Tottenham and Arsenal as the outsiders, while last season’s metrics are less kind towards Arsenal, Manchester United and Chelsea. Regardless, two of the six will again miss out, and we could find ourselves here next year with more new managers to talk about. Margins are thin and success cannot come for all.